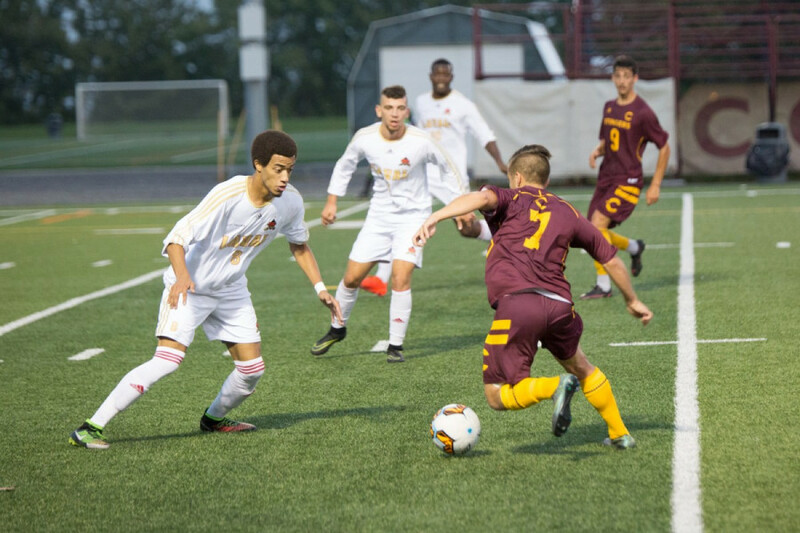 It was a tale of two halves for the Stingers who saw a promising 3-2 lead snowball catastrophically into a 7-3 pummeling at the hands of the reigning provincial champions after conceding five unanswered goals. While they fought hard, a second game in three days seemed to be too much for the Stingers who saw themselves get physically dominated at some points in the game. This only got worse after right-back Kamaal Philips got sent off in the 76th minute. “Obviously chasing the game is a lot more tiring than protecting a lead and with that red card things just got even more complicated.” said Stingers captain and center-back Olivier Georges. “We had some good momentum going into the second half but after they went ahead 4-3, the momentum shifted and we just have to get better at fighting back and giving ourselves a chance,” added Georges. It was a daunting task for the Stingers. 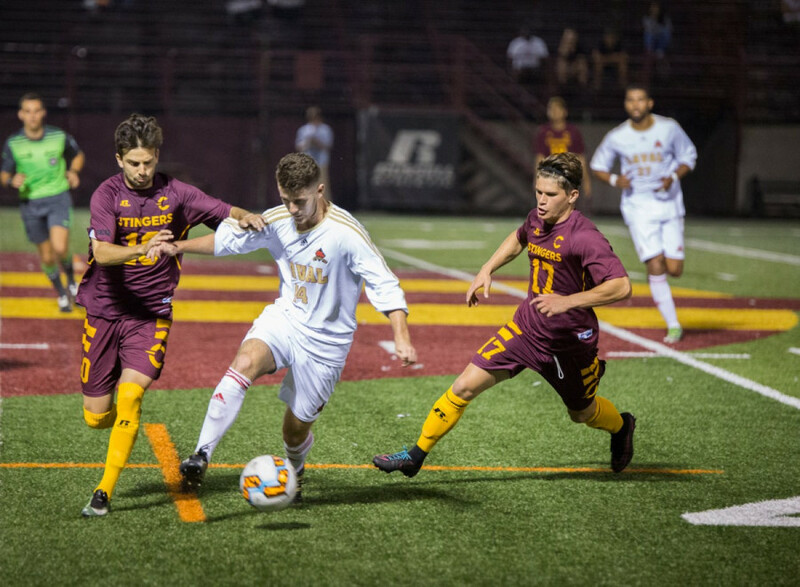 With lots of new recruits that still need time to gel together, they took on the defending champion Université de Montréal squad that hadn’t changed much and benefited from another excellent run of form. Stingers forward and goal scorer Simon Malaborsa is still optimistic despite the disappointing start. “We feel like we’re one of the most prepared teams in the league and the performance we put on in that first half shows how well we could do if we put a strong 90 minutes of play together,” Malaborsa said. Despite the bad loss, the Stingers put the rest of the league on notice with this performance by dictating the pace of play for the first half all while making the most of their possession and showing very clinical finishing in the final third. Single defensive mistakes and lapses in concentration while defending against set pieces had the Stingers looking a little lost at times and assistant coach Mohamed-George Dicko was quick to point that out. Swedish midfielder Otto Cardel once again dominated the middle of the park and somehow seemed to be everywhere at once. He is going to be a vital part of this Stingers formation both on the front foot and while defending against the counter as his work rate and ability to win back possession is second-to-none. One aspect of the Stinger’s formation that was easily exploited were the flanks. Université de Montréal’s Guy-Frank Essomé and Thomas Safari were let free to roam up and down the sideline and stretched the defense out too wide, allowing for cutting balls inside to be played regularly. The Stingers will have their chance to finally get into the win column on Friday Sept. 22, when they host the Université du Québec à Trois-Rivières.